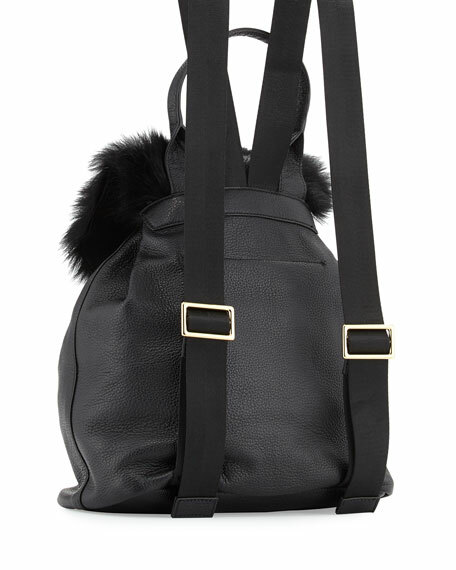 Elizabeth and James pebbled leather backpack with dyed Toscano lamb shearling (China) fur flap. Rolled top handle, 6.3" drop. 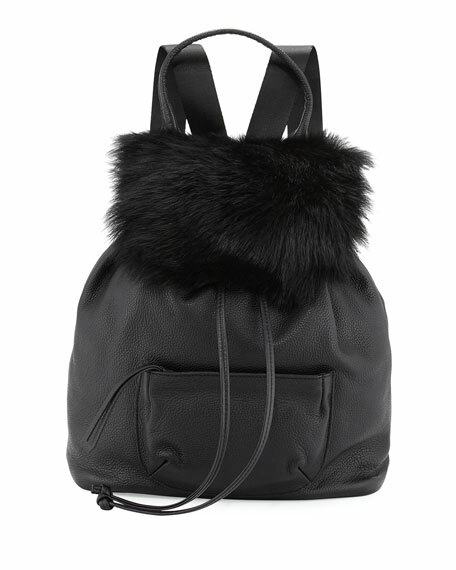 Adjustable shoulder straps, 16" drop. 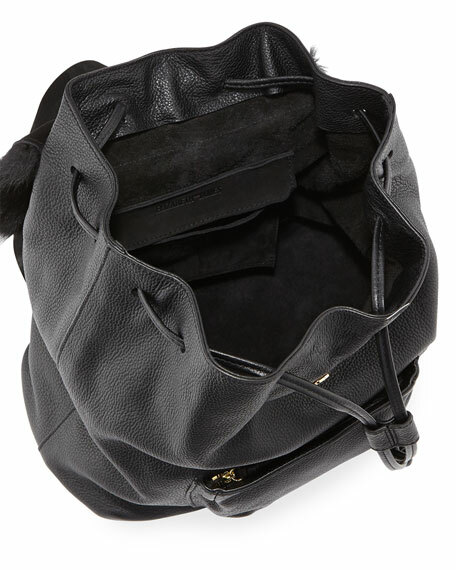 Flap covers drawstring top; snap closure. 13"H x 11"W x 6.3"D.
For in-store inquiries, use sku #1916347.